Located in Southern California and in a dry climate your used Cadillac and Allanté parts are preserved in the best possible condition. No 'East coast' or 'Mid-West' quality parts that usually have rust on them. 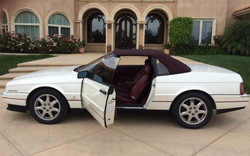 For the last five years Cadillac King has been the leading source of high quality used Allante parts on the west coast, with over 200 standing Allantés in stock and qualified technicians to serve you, Cadillac King is the one stop shop for Caddies in Southern California. If you are not fortunate enough to be able to view our inventory first hand, we offer worldwide shipping provided via United Parcel Service (UPS). 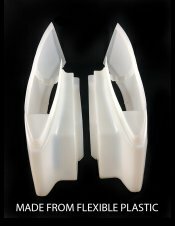 Next day air shipping for your hard to find parts and accessories, is available upon request. Part availability and processing time must be taken into account. 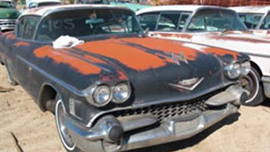 Cadillack King is the largest provider of used Allanté and Cadillac replacement parts for body work or mechanical repair. 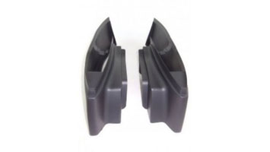 Whether you are a Cadillac owner, a repair shop or a car collector, we have the right part for you. 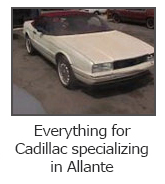 So if you are looking for used or refurbished parts or body panels or any accessories for a Cadillac, Allanté, STS, SLS, Eldorado, Seville, or Fleetwood, Eldorado just give us a call. 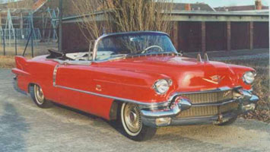 We are based in the Los Angeles area but we will ship our high quality used Cadillac parts to you wherever you are! 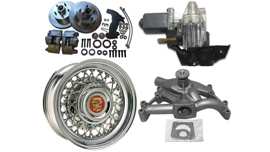 For over twenty years Cadillac King has offered the largest selection of used and refurbished parts. 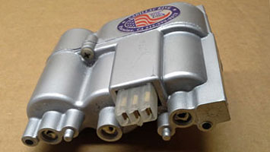 Cadillac King is able to provide the widest selection of high quality used parts. Located in Southern California, our Caddies are not exposed to harsh east coast weather assuring the highest quality chrome and interior parts for your classic.